This property is so unique. It is zoned Parks and Recreation which means it can be used in many ways. 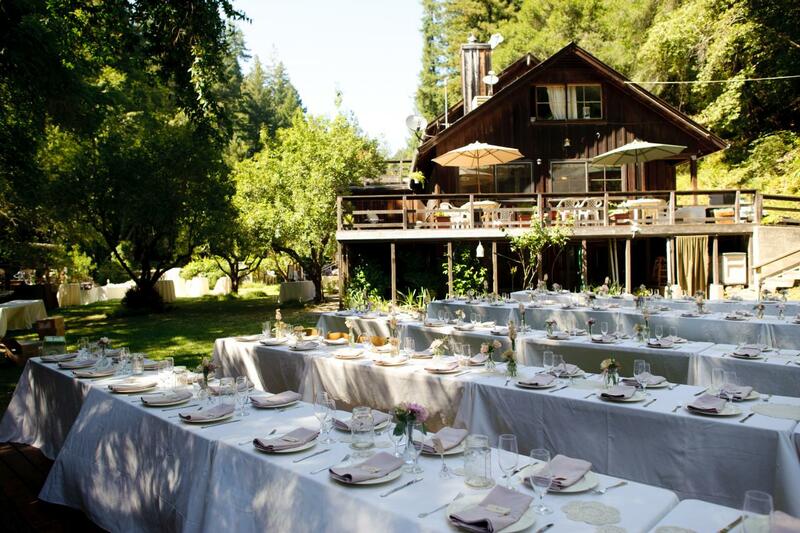 In the past it was a Naturist Massage Center called “Getting in Touch”, a venue for weddings, a retreat center, a place for holding classes and conferences in the large room overlooking the forest and a place where families could hold reunions and reconnect. It has a year round creek running through it and provides water for a neighboring community Mutual Water Company. There are currently 9 cabins on the property (they do not include showers or baths), three duplex cabins (a total of 6 separate spaces), a pool (currently not in use), a hot tub that seats 20, a stage area with pavilion, a conference room (150 occupancy), a kitchen with a walk-in fridge, commercial stove and oven and room for three tables (each seats six), plenty of parking, large grassy areas, chicken coop and owners living space. Historically, Laurel Mill Lodge was part of the Hihn holdings. The railroad tunnel built at the intersection of Schulties, Redwood Lodge and Laurel still stands today and was instrumental in moving the timber from Laurel Mill Lodge to San Francisco where it was used to rebuild after the 1906 earthquake. This site has been used for many years as a gathering place for community events, weddings, camps, a foster home for boys and a campsite. Its future use depends on you and your dreams. This is your chance to own a piece of history in the Santa Cruz Mountains. This property is unique in many ways. It is zoned Parks and Recreation which means it can be used in many ways. In the past it was a Naturist Massage Center called “Getting in Touch”, a venue for weddings, a retreat center, a place for holding classes and conferences in the large room overlooking the forest. It has a year round creek running through it and provides water for a neighboring community Mutual Water Company. There are currently 9 cabins on the property (they do not include showers or baths), three duplex cabins (a total of 6 separate spaces), a pool (currently not in use), a hot tub that seats 20, a stage area with pavilion, a conference room (150 occupancy), a kitchen with a walk in fridge, commercial stove and over and room for three tables (each seats six), plenty of parking, large grassy areas, chicken coop and owners living space. Beautiful, well maintained home in the heart of Redwood Estates with easy access on and off Highway 17. Watch the morning sun rise over the hills, peek over the trees to see if your friends are at the pool, enjoy evenings on your deck with friends. Walk to Nonno’s for pizza, beer and Bocce ball with friends. This home is on two parcels so you have privacy and space and possible potential to expand. This is the perfect Mountain Home. Lexington Elementary, Los Gatos High School. Unique home situated on almost an acre of land very close to downtown Los Gatos. Home is on two APNs. Main house is two stories with a lovely master suite upstairs with bath, balcony, and gorgeous views. Downstairs has a mudroom entry, wood burning fireplace, small second bedroom, and access to front deck from two areas. The pool area has sweeping views of the green hills and sky. There is a horse shelter at the top of the property to the left that could be used other purposes. Laundry is upstairs.